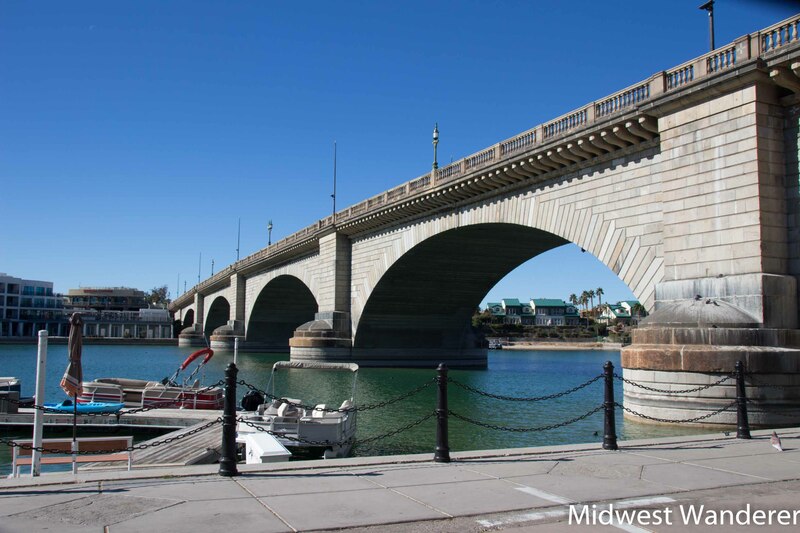 Lake Havasu City is noted for the London Bridge, which was our main reason for visiting the western Arizona city. The city is also popular for water sports and spring breakers. 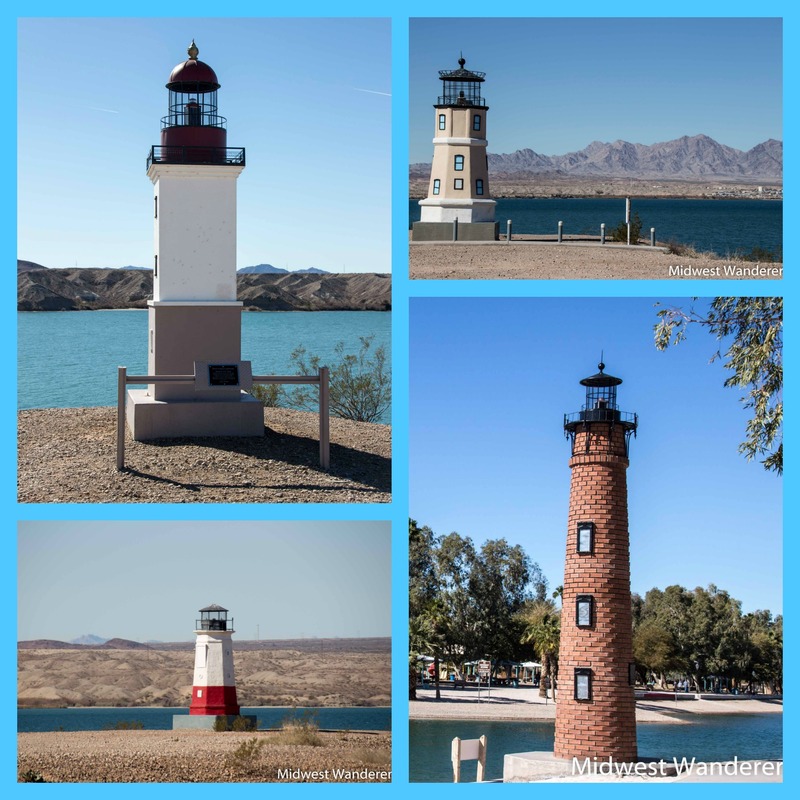 What we didn’t know until we got there is that the Lake Havasu shoreline is lined with two dozen lighthouses, all working replicas of lighthouses from the East Coast, West Coast and Great Lakes. Over the centuries, several bridges spanned the Thames in London, England. Remember that sing-song nursery rhyme from the playground game? When I was a child I didn’t think about the meaning of the words, but it did refer to the real-life condition of an early London Bridge, the one built between 1176 and 1209. Though the bridge needed frequent repair, it stood for 600 years. The London Bridge that was completed in 1831 began sinking once twentieth century automotive traffic started to cross it. The nursery rhyme song could eventually have referred to that bridge, as well. By 1924 one side was almost four inches lower than the other. When London put the bridge up for sale in 1967, Lake Havasu City bought it. The bridge was taken down, each block carefully marked, and shipped to Lake Havasu City, where it was reconstructed across the Bridgewater Channel Canal. The lamps on the bridge are said to have been made from melted down cannons of Napoleon Bonaparte’s defeated army. I didn’t realize the bridge was used as a real Lake Havasu City traffic bridge. We drove across it, walked across part of it, and of course, took pictures of it. The easiest access for taking pictures is from the English Village, located at the foot of the London Bridge. The entrance gate to the English Village also was purchased from England. It previously was part of Witley Court in Worcester. The English Village includes several shops, as well as the visitor center, where you can pick up information on everything Lake Havasu City has to offer. The visitor center is where we found out about the lighthouse replicas and picked up a map identifying the locations. 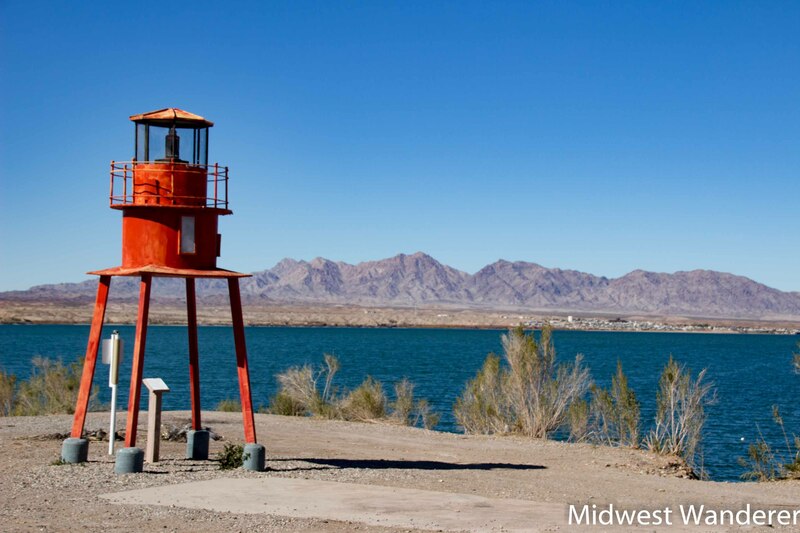 Lake Havasu City boasts that it is home to more lighthouses than any other city in the world. 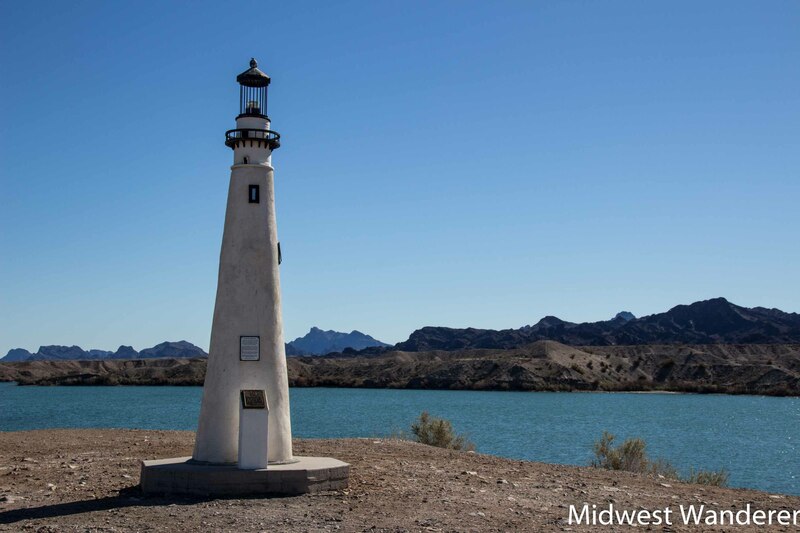 The Lake Havasu Lighthouse Club, a not-for-profit organization, built and maintains the 24 one-third scale lighthouse replicas. Lighthouses from the East Coast line the east side of Lake Havasu; lighthouses from the West Coast are on the west side of the lake; and Great Lakes lighthouse replicas are around the island in Lake Havasu. All of the lighthouses function as actual navigational aids. Some of the lighthouses can be seen only by boat. Others you can drive or hike to. We found several of them along the island shore and more in nearby parks. 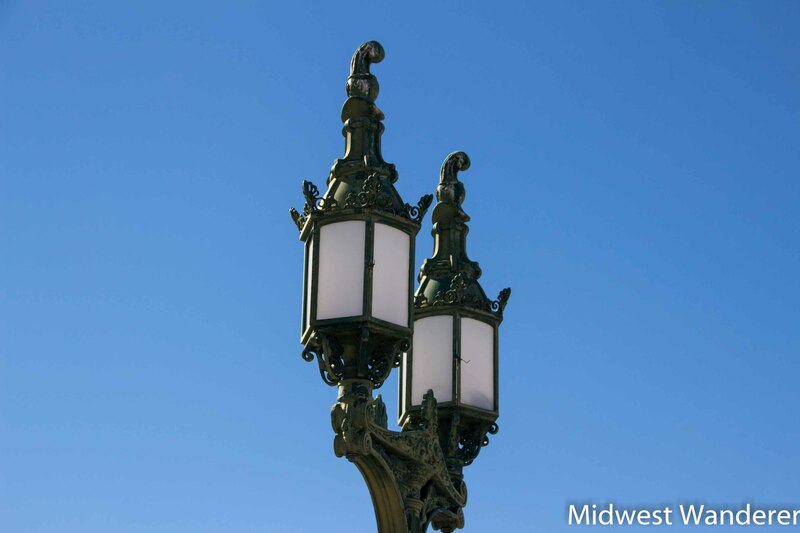 It was especially fun finding the ones from the Midwest, like the Alpena lighthouse from Alpena, Michigan, and Wind Point lighthouse from Racine, Wisconsin. The Chicago Harbor lighthouse, unfortunately, was out of our driving range. Lake Havasu City is about an hour and half south of Bullhead City, Arizona/Laughlin, Nevada; about two-and-a-half hours from Las Vegas; approximately three hours northwest of Phoenix; and four-and-a-half hours east of Los Angeles. 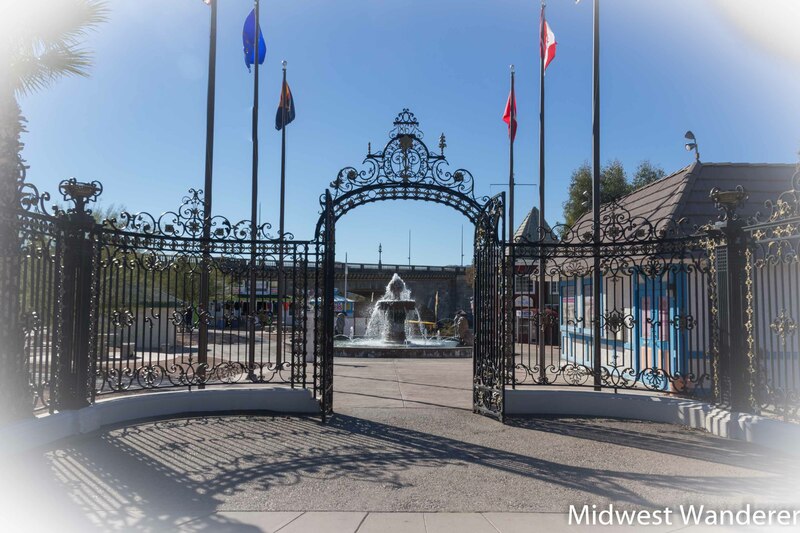 Visit the Lake Havasu City Convention & Visitors Bureau web site for detailed information on attractions, accommodations and events, including boat trips on Lake Havasu to get a view of the London Bridge from the water. The Sunset Charter & Tour Company also offers a two-hour narrated Lighthouse Tour. Accommodations in Lake Havasu City: Find the best deal, compare prices, and read what other travelers have to say at TripAdvisor. 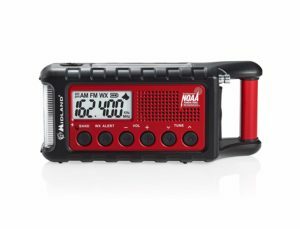 Disclosure: This article contains an affiliate link, which means that if you book a room through this link, I will receive a small commission at no additional cost to you. How fascinating! I never would have picked Arizona for a place to spot lighthouses…or a real London Bridge! They say you learn something new everyday and boy, this fits the bill. I never would have guess in a million years that the real London Bridge was in Arizona. Crazy! Love this sort of tidbit and will be sharing!